An innovative (first to present vector graphics) multi-directional space shooter! Two players control different ships. 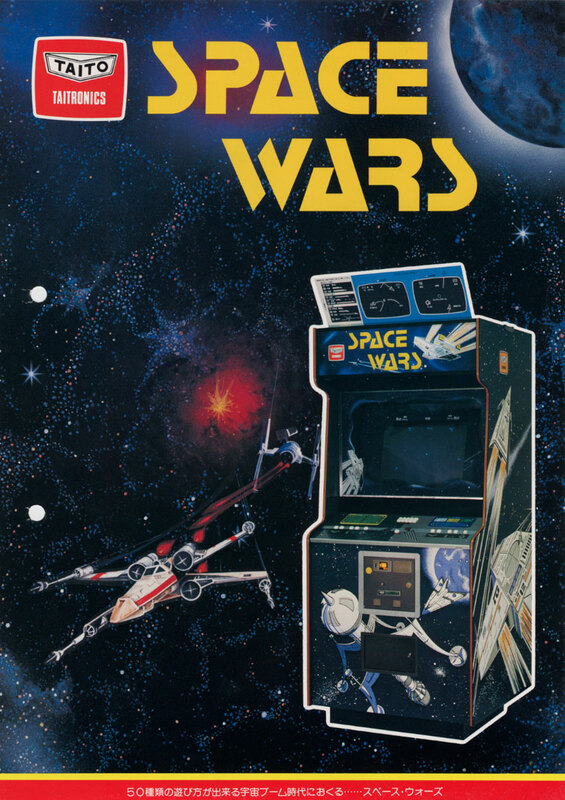 One button rotated the ship left, another rotated the ship right, one engaged thrust, one fired a shell, and one entered hyperspace, which causes the ship to disappear and reappear elsewhere on the playfield at random. 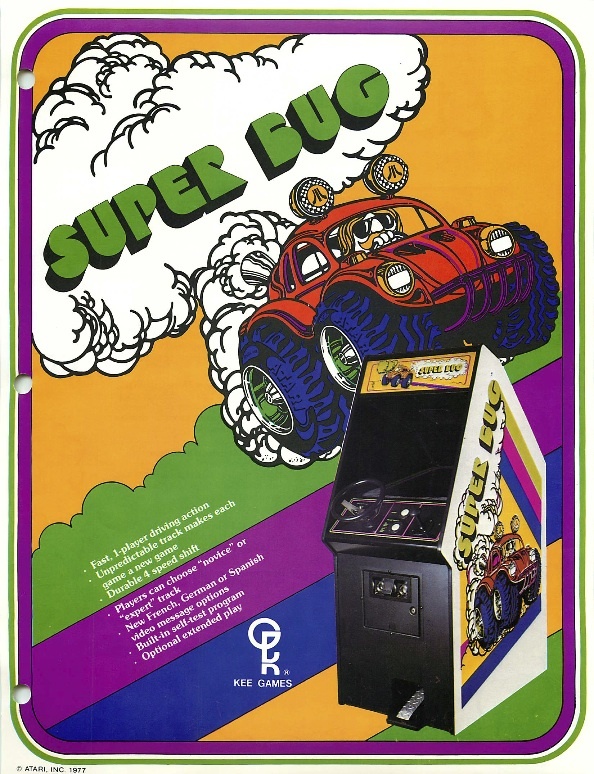 Super Bug is a simple black and white driving game! The player steers a yellow Volkswagen Beetle along a multi-directionally scrolling track, avoiding the boundaries and occasional obstacle. The game ends when fuel runs out. 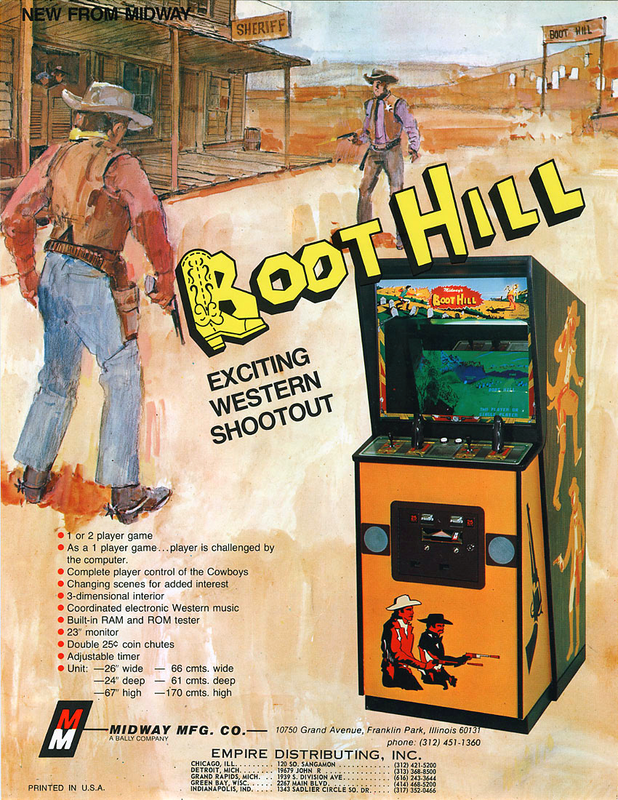 Boot Hill is a classic one-one western gun fight game! Sequel to Gun Fight of 1975. 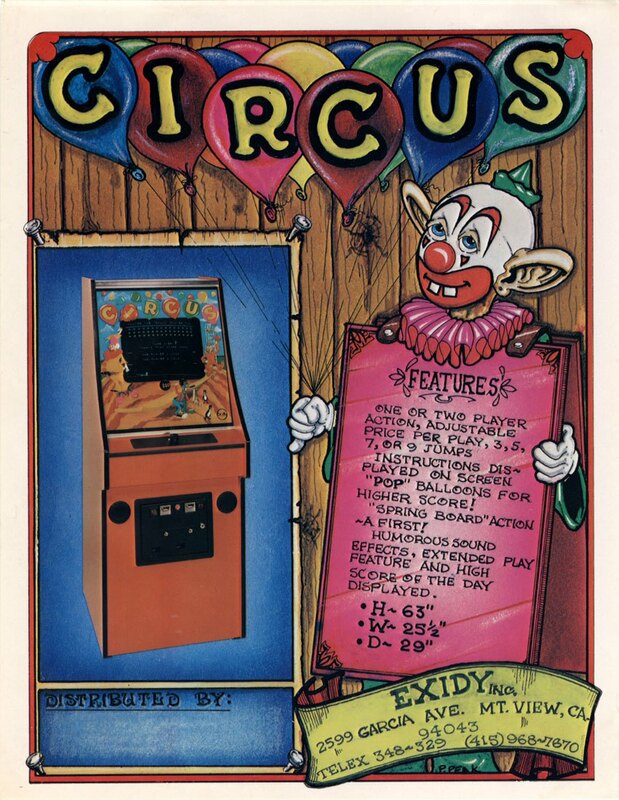 Each player uses a small joystick to move their cowboy up and down the play area, while a second, much larger joystick is used to aim the pistol and shoot – this larger stick also has a trigger button. Circus is re-themed version of Breakout. The player controls a seesaw and clown in order to pop all the balloons in the level. Three rows of triangular balloons move along the top part of the screen, each overlaid with blue, green, and yellow (colors used in the original version), counting from the top row. Innovative (at the time its release) “drop a bomb into the canyon” shooting game! The player and an opponent fly a blimp or biplane over a canyon full of numbered, circular rocks, arranged in layers. 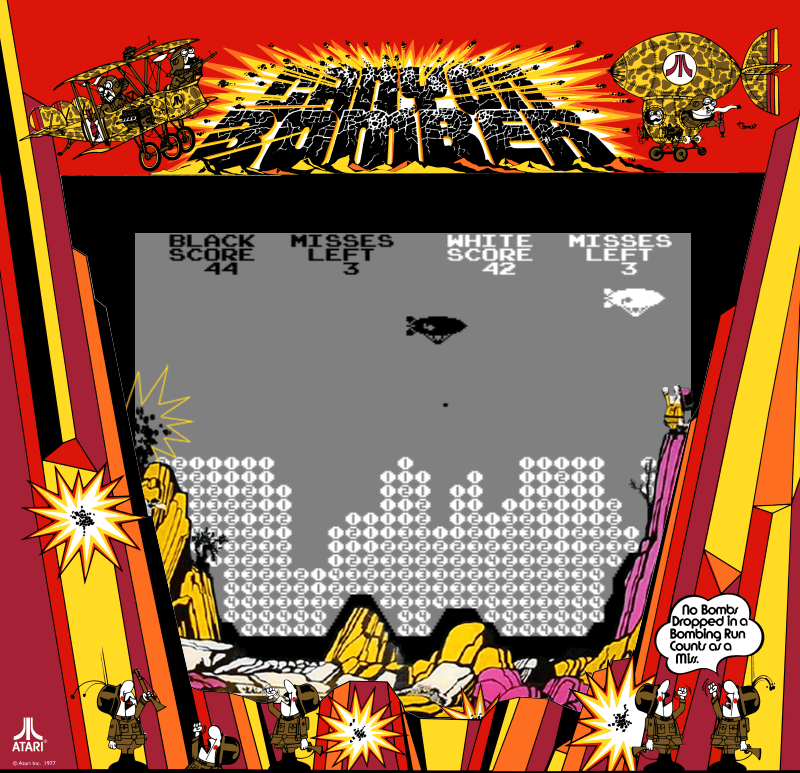 The player does not control the flight of vehicles, but only presses a button to drop bombs which destroy rocks and give points. See you in the year 1978!